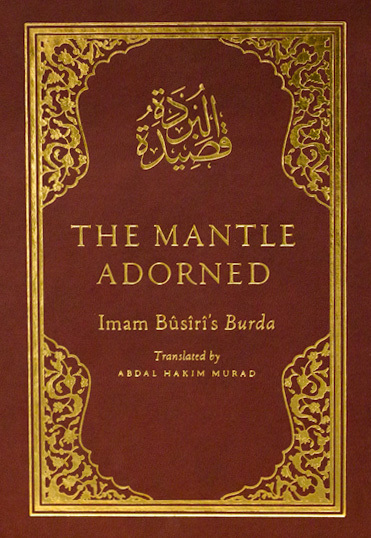 Shaykh Abdal Hakim Murad’s translation of the Burda by Imam al-Busiri. by Imam Muhammad ibn Sa’id al-Busiri (1211-1294). A new translation of the best-known of all Islamic poems, the Burda (‘Mantle’) by al-Busiri. Each page features calligraphy by Betül Kırkan, followed by the English translation, and a fragment of a further poem on a related theme by another Muslim poet. The book is richly illuminated in gold and full colour by Ersan Perçem.